To fight the illegal ivory trade that’s fueling an elephant poaching epidemic in Africa, WildAid has joined a coalition of over 50 international elephant conservation and animal welfare groups in calling on the Hong Kong Government to stop issuing any new import licenses and re-export licenses for pre-Convention elephant ivory. “Pre-Convention” ivory refers to ivory that was in circulation prior to the 1975 establishment of the Convention on International Trade in Endangered Species of Wild Fauna and Flora (CITES), an international agreement to ensure that trade in specimens of wild animals and plants does not threaten their survival. The European Union is the primary exporter of alleged pre-Convention ivory, much of it imported by Hong Kong with the ultimate destination of mainland China's ivory carving factories. But Hong Kong's ivory traders are routinely exploiting legal loopholes in the Hong Kong law, which enables them to legally import raw and cut elephant tusks from Europe and then launder recently poached ivory taken from illegally-killed elephants into the legal market using government supplied paperwork. Traders are then turning a blind eye to where the ivory goes, as criminal buyers of pre-Convention raw ivory smuggle it across Hong Kong's internationally recognized border with China to feed an insatiable demand from the mainland's ivory carving factories. On Tuesday, a coalition of NGOs including WildAid co-signed and sent a letter to Wong Kam-sing, Hong Kong's Secretary for the Environment calling on the Hong Kong Government to stop issuing any new import licenses and re-export licenses for pre-Convention elephant ivory. United in solidarity, and concerned by the protection and future of the elephant species, the 51 NGOs demand that Hong Kong suspend the import and re-export from its territory of elephant ivory in the form of raw and cut tusks. This coalition represents both the demand and supply sides of the ivory trade, and are based in African elephant range States, the main ivory exporting countries in Europe, and in China and Hong Kong - the world's largest ivory importing country and region. We believe that if this avenue on the supply chain of “new material” to mainland China's ivory carving factories could be severed, it would be a crucial win for elephants. Such a move by Hong Kong would also greatly help similar initiatives being taken in an increasing number of countries to reduce the international trade in ivory. So far, the United States, United Kingdom, Sweden, France, Germany, the Netherlands and Austria have all adopted such restrictive measures. A strong campaign by the NGO coalition is also being mounted to extend these measures to all member States of the European Union. Tens of thousands of elephants are poached every year for their ivory to supply the Hong Kong and mainland China markets. 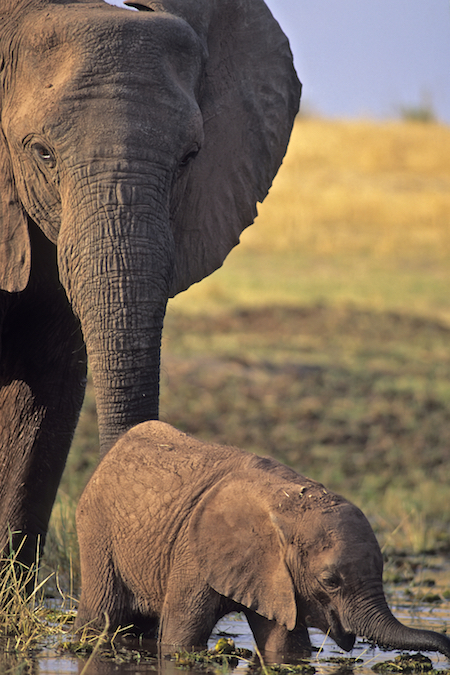 Most African range States make tremendous efforts to protect live elephants. Hong Kong expressed its determination to tackle the illegal ivory trade and has destroyed over half of its seized ivory stock. We congratulate you for taking these actions. According to the CITES-UNEP-WCMC trade database, in 2013 Hong Kong imported 206 elephant tusks, including 191 from the European Union. These importations of so called pre-convention ivory drive demand and thus may accelerate poaching. Moreover, there are concerns that re-export certificates issued by exporting countries are being re-used in importing countries to launder ivory from freshly poached elephants. Failures in checks and controls can enable to feed Hong Kong's legal market with illegal ivory. Some countries, such as the United States of America, the United Kingdom, Germany, Austria, Sweden, France and the Netherlands have suspended the re-export of raw ivory from their territories. It is essential that complementary measures are taken by importing countries in demand markets. Therefore, the 51 non-governmental organizations signing this letter urge you to suspend the import and re-export of raw and cut ivory in the Hong Kong Special Administrative Region of the People's Republic of China. Such a step would reduce the trafficker’s room for maneuver and will facilitate the control of the legality of ivory in the numerous retail shops in Hong Kong. It will also be added proof of your determination and commitment to eradicate illegal trade of ivory and it will contribute to the protection of elephants.